A. D. Hanna’s Masonic background is unusual: “sort of a roundabout road to the top.” Raised in Joseph A. Kemp Lodge No. 1287 in September, 1946, he became active in Maskat Temple in 1951. 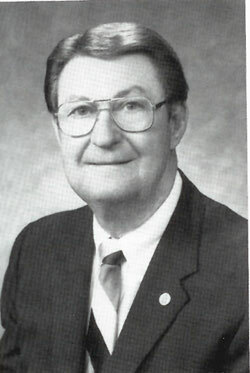 A member of the Director’s Staff for several years, he was elected to the Divan in 1958 and served as Potentate in 1962. Over the years, he was never very far away from his Blue Lodge beginnings, and after his service as Potentate, he felt responsibility to become active in the Lodge. He affiliated with Iowa Park Lodge No. 713, and served as Master in 1972. Appointed District Deputy Grand Master in 1979, he was Grand Junior Deacon in 1980. He has served as Regional Coordinator for the Grand Master’s Conferences and Workshops since 1982, he was State Coordinator in 1986. Until elected Grand Junior Warden, he served on a number of Grand Lodge committees, including the Committees on Finance and Membership Maintenance. 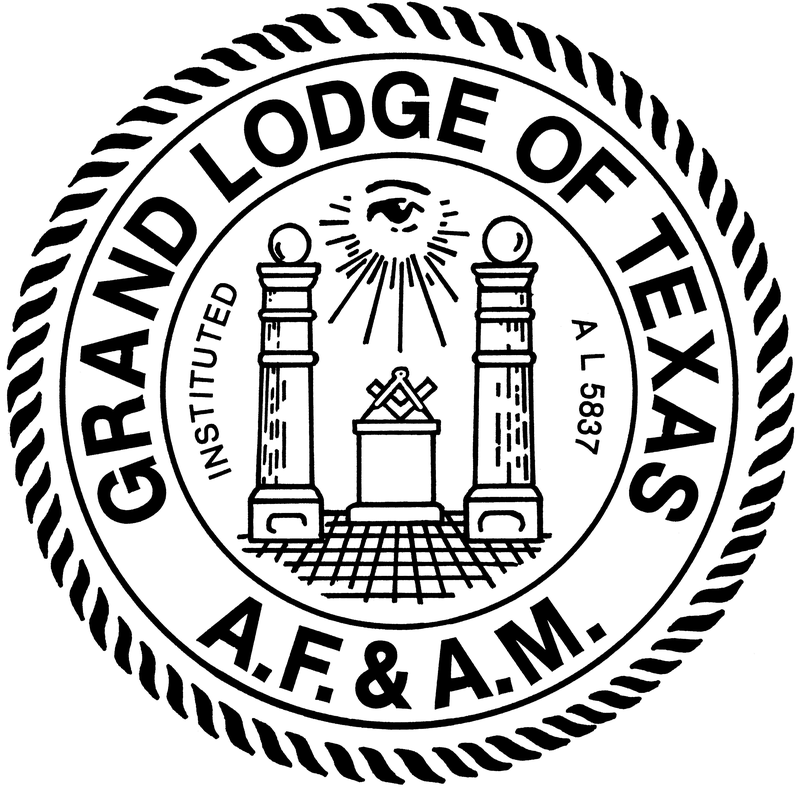 He is the Grand Representative to the Netherlands for the Grand Lodge of Texas. His activities in other Masonic organizations have been equally energetic. Joining Scottish Rite in Dallas in 1951, he worked on degree teams and membership teams, was awarded a life membership in 1968, and was invested with the rank and decoration of Knight Commander of the Court of Honour in 1963. He became a Charter member of the Lubbock Scottish Rite Bodies, and was coroneted a Thirty-Third Degree Inspector General Honorary in 1977. 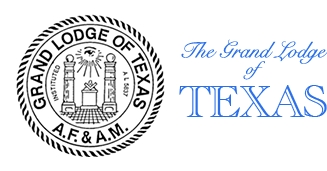 He is also a dual member of the Fort Worth Bodies and serves as Chairman of the Fort Worth Scottish Rite Bodies. In the York Rite, he has been a member of Wichita Falls Chapter No. 202, Wichita Falls Council No. 140, and Wichita Falls Commandery No. 59 since 1958. He is a member of Texas York Rite College; the Royal Order of Scotland; a Past Sovereign of Star of Bethlehem Conclave, Red Cross of Constantine; the Texas Lodge of Research; Texas College, Masonic Rosicrucians; member of General William J. Worth, Heroes of ’76, Cowpens Camps Chapter No. 463 and a member of the William J. Worth Chapter No. 463, National Sojourners. A member of the Wichita Falls Chapter, Eastern Star, he is also a Past Advisor of Hope Chapter, Order of DeMolay, and holds DeMolay’s highest award, the honorary Legion of Honor. 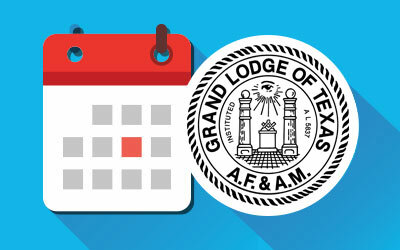 A strong supporter of Masonry’s Endowed Membership programs, he is an endowed member of four Lodges, and a member of the Sam Houston Hall of Fame, in support of the Grand Lodge Library and Museum. Born January 9, 1922, in Throckmorton, Texas, his parents moved to Breckenridge, where he graduated from high school in 1940. After two years at John Tarleton College in Stephenville, he “deserted” Texas for Alabama, where he quickly married his high school sweetheart, Cletha Brookins, and became a department head at Gulf Ship Building in Mobile. Enlisting in the Navy in 1943, he served as an instructor on Navy aircraft until his discharge as an Aviation Machinists Mate First Class in December 1945. Returning to Wichita Falls in the same month, he became a partner in the Wichita Tool Supply Company. In 1964, he became sole owner. He and Cletha have two daughters, Marsha Hanna May, A Math Professor at Midwestern State University, and Debora Lynn Hanna Bigot, who teaches kindergarten. They have three grandchildren, Brett Hanna May, Jennifer Hanna May and Guy Hanna Bigot. In his “spare time” he raises cattle on his farm in Clay County, and he and the family enjoy rare visits there for relaxation and recreation. The Hanna family are members of Floral Heights United Methodist Church, where A. D. is a member of the Board of Trustees, the Finance Committee, and has served as Chairman of Stewardship, and President of the Couples Class and Methodist Men. A member of the Downtown Rotary Club, he has a 29-year perfect attendance record. He is a Paul Harris Fellow, and has served as a Director and Vice President. This is only the beginning in a long record of civic service, including Vice President and member of the Board of the School of Listening Eyes; a Trustee of United Fund; past member of the Board of North Texas Crippled Children’s Society; Texas Manufactures Association; North Texas Field and Stream; and the American Association of Oil Field Drilling Contractors. He is a member of the Wichita Falls Country Club.